Hey everyone! I hope that you guys are having a Terrific Tuesday! I know we are here at the ranch! I wanted to show off the new hidden trait that is in the 2018 Halloween Edition Horses! However, since then there has been a new Bloody trait released! That is right you now have the Bloody Branding! Take a look at this branding isn’t it just horrific! 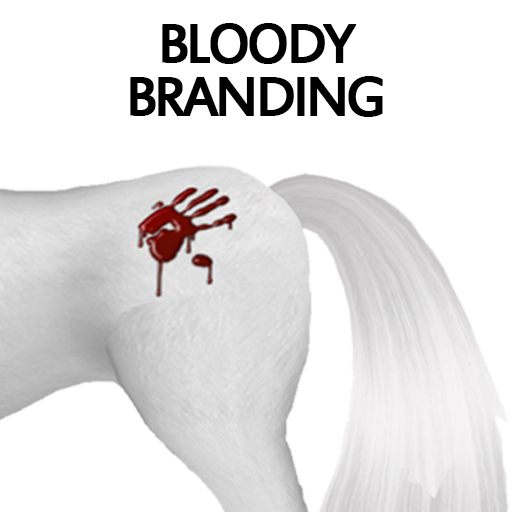 You can now have this Bloody Branding on all your Bloody Horses! Where do you get one? Well you can get one from any breeding of the 2018 Halloween Edition Horses! I can’t wait to see all the Bloody Horse projects you guys will make with this brand! Happy breeding everyone this is Ava over and out!